The 1st of July 2017 marked a historic day for the country of India. It was on this day that the primitive taxing system on goods and services was abolished, and a single goods and services tax, better known as the GST, was brought into practice. Aimed at uniting the nation into a single market, the goods and services tax affected individuals and businesses alike. Service tax, value added tax and other taxes all gave way to the GST, which is a tax levied on value addition at each stage. Therefore, the consumer has to pay tax charged only by the last supplier in the retail chain. GST ranges to a maximum of 28% tax levied on products, the actual amounts vary from service to service. Obviously, a new system will bring with it new rules and regulations, which was the case with the implementation of GST. 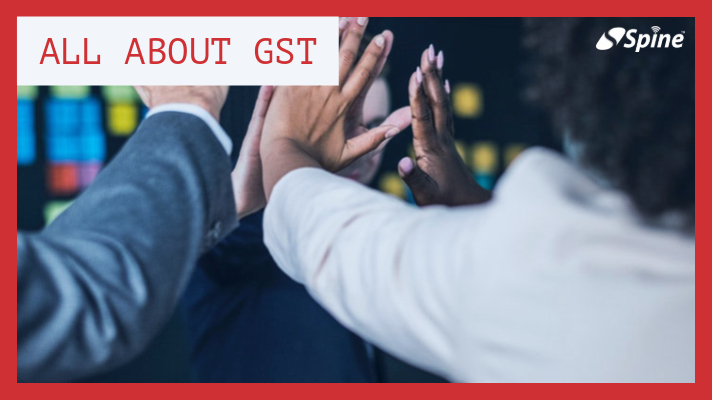 As employed personnel file income tax returns, retailers and business owners are required to file GST returns, which includes 3 monthly ones and 1 annual one. This amounts to a total of 37 returns in a financial year. Registered dealers file GST returns which include purchases, sales, output on sales and input tax i.e. GST paid on purchases. Under the new GST rules, tax return filing is mandatory. Every individual registered under the GST act has to file tax returns, which can be easily done online. Special cases such as composition dealers require special returns to be filed. Scepticism regarding implementation of GST was an all-time high when the tax was first introduced. Most of those doubts have been resolved now, still, a few nagging questions remain here and there. Let us attempt to solve them by listing the advantages of implementation of GST and filing GST returns on time. As more and more businesses become GST compliant, overall tax liability is expected to be reduced, due to the enlarging of the tax base in the country. Expectations are that GST will have quite a significant impact on the tax base in India. Using technologies such as Aadhaar and PAN databases will also make GST return filing and compliance an easier and streamlined process, thereby speeding up the enlargement of the Indian tax base. Under the VAT scheme, businesses are forced to comply with VAT regulations if they cross an annual turnover of INR 5 lakh. This is way less when compared with the GST regime. According to the new GST rules and regulations, businesses must become compliant only if they have annual turnovers of INR 20 lakh or more. This figure is INR 10 lakh for the north eastern states of India. Hence, the implementation of GST brings about lower taxes for all parties involved. Customers also pay lower taxes for goods and services, since they only pay the tax charged by the last supplier in the chain. With the advent of GST, businesses have said goodbye to multiple VAT registrations in different states, in addition to different service tax registrations. Now, a single GST registration and compliance is enough to do your businesses pan-India. Indirect taxes have been standardized and streamlined, and the implementation of GST has brought about a unified platform in the Indian economy for all types of businesses and individuals. Due to the unification of all taxes, businesses find it easier to operate and earn profits. As mentioned before, the convenience of not having to run around to multiple states or obtain multiple service tax and VAT compliances is a major factor why GST has been touted to be so successful. No compliance burden on businesses means that doing business is easy, with the tax distinction on goods and services now blurred. With taxes like purchase tax, customs duty, and luxury tax now subsumed under the GST banner, it makes tax collection and compliance easier than ever before for all businesses and individuals registered with the GST act. In accordance with the new GST laws, there exist 11 types of GST returns which are to be filed. A few of these need to be filed by all regular businesses, while others are for special cases such as composition schemes. Return filing is mandatory, even if no tax amount exists, a nil return needs to be filed. All filing of returns is done online. This return contains details of outward supplies affected from July to March, on taxable goods and services. This return needs to be filed monthly and is due on the 11th of every month. As the GSTR-1 contains details of outward supplies, the GSTR-2 contains details of inward supplies of taxable goods and services, and services affected claiming input tax credit. The return is due on the 15th of every month, but has been suspended as of now. This can be viewed as a summarization of GSTR-1 and 2. It is calculated after analysing the details of both outward and inward supplies and payment of tax. It is due on the 20th of each month. Containing details about returns up to the month of March, this is another monthly return that needs to be filed by the 20th of the next month. The GSTR-9 is the annual GST return which is filed by the 31st December of the next financial year. Companies with turnovers of less than 1.5 Cr INR in the previous financial year can file quarterly returns (GSTR-1) by the end of next month in the July-March period. 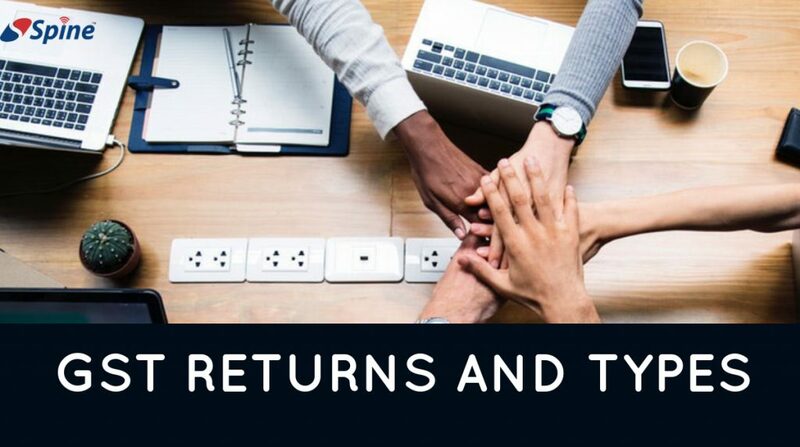 A monthly return that needs to be filed by the 20th of the next month under consideration, this contains information on returns for non-resident foreign taxable persons. This is the return type for input service distributors, and is due on the 13th of every next month. Returns for authorities deducting tax at source are filed under the GSTR-7 category, and are due on every 10th of the next month. This is the final return that needs to be filed by dealers once upon cancellation or surrender of registration. This is a quarterly return for compounding taxable person, and is due on the 18th of the month succeeding the quarter under consideration. This is the annual return which is filed by the 31st December of the next financial year. GST return filing is mandatory for all compliant businesses. Even if there is no tax to file returns for, a nil return must be filed. If one does not file the previous applicable return, he/she cannot file the next return due, thus having a cascading and devastating effect. Late fees and interest pile up for each return not filed, which ultimately leads to heavy penalties. The late fee as per the GST act is INR 100 per day per act, which sums up to INR 200 for CGST and SGST. For a few returns such as the GSTR-1, 5, 6, and 4 are now INR 50 per day. For nil returns, the same is now INR 20. For the months of July, August, and September, the late fees of the GSTR-3B have been waived off. There you have it! A crystal clear guide to understanding GST returns, the filing processes, types of returns and late fees. Now you know all there is to know about filing your GST returns. Don’t wait! You just might incur a late fee penalty! How to start a Medical Shop in India? Interim Budget 2019 Unravelled: Everything You Must Know! Difference Between Indian GST and GST Around the World. Spine Software Systems (P) Ltd. 2013 © All Rights Reserved.